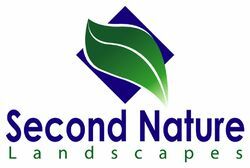 Click on the thumbnails below to see enlarged pictures of some of our paver patios, walks, and decks. Coordinating paver steps and patio. 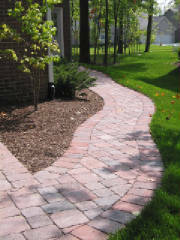 Paver patio with an imaginative shape. 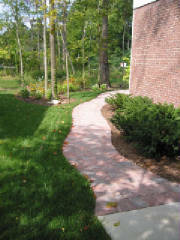 A paver path connects front yard to back. Top view from the patio pictured above. 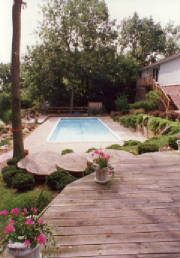 The rustic look of tumbled pavers. 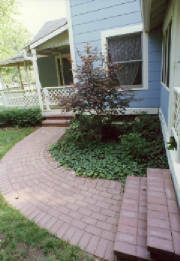 Paver patio and coordinating steps.